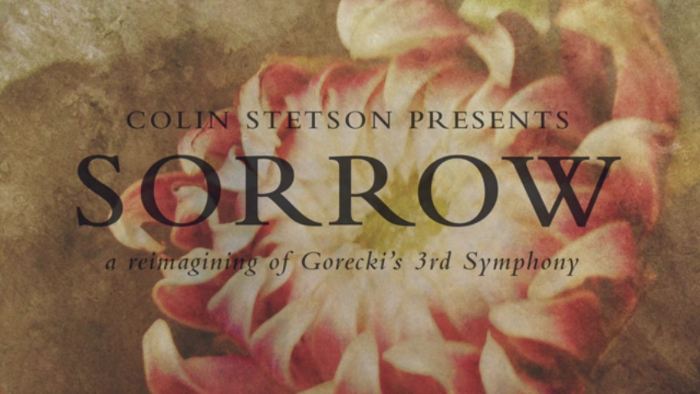 Colin Stetson‘s upcoming album SORROW: A reimagining of Gorecki’s 3rd Symphony, based on the Polish composer’s 1997 classic piece, is simply a dream of an album. Envisioned by Stetson for nearly two decades, the record is finally seeing the light of day on April 8th on his own 52Hz via Kartel. The composer and sax magician had already enticed us with two staggering excerpts from the album. He’s offering another majestic taste from it, with a new excerpt from the third movement, ‘III (Extract I)’, featuring Stetson’s sister Megan on glorious vocals and Liturgy’s Greg Fox on drums. Being “the heaviest part of the symphony”, as the press release describes, ‘III (Extract I)’ combines classicism and black metal”. Listen to it now.